Medical dramas like Grey’s Anatomy — now in its 14th season — have long been a staple of both daytime and primetime TV. These shows follow a familiar formula of a steady influx of patients with complicated conditions as well as plenty of behind-the-scenes drama and romance among the hospital staff (including a lot of making out in elevators and supply closets). But a new study found that watching shows like Grey’s Anatomy can be more than simply entertainment: They can also lead to viewers having a distorted view of what recovery after a traumatic injury looks like. Researchers at Dignity Health St. Joseph’s Hospital and Medical Center’s department of surgery in Phoenix screened 269 episodes of Grey’s Anatomy and kept track of how each fictional trauma was portrayed in the show. Then they compared their data with those from actual trauma patients, obtained from the 2012 National Trauma Data Bank National Program Sample. The results, which were published in Trauma Surgery & Acute Care Open (affiliated with the British Medical Journal), indicated that trauma patients on TV recover much faster than those in real life. When it comes to dealing with significant medial trauma, the authors note that most people are limited to their own experiences, so many people draw their perceptions from what they see on TV. The tricky part is accurately representing the nuances of recovering from a traumatic injury during a one-hour show. As a result, trauma patients on TV typically need an urgent operation to address their injured body part, and then occasionally die, but in most cases, make a speedy recovery and are discharged after a short hospital stay according to the researchers. “As anyone involved in the care of patients at a regional trauma center knows, real-life patients are often managed non-operatively or with operations (sometimes multiple) performed at an interval to the time of admission, and depending on the burden of injury, often require prolonged hospitalization and have disabilities requiring transfer to long-term inpatient facilities,” the authors wrote. So what can be done to change this? The researchers said they are currently assessing how well they are meeting the needs of their patients and their families in regard to managing recovery expectations following a traumatic injury and encourage other medical professionals to do the same. 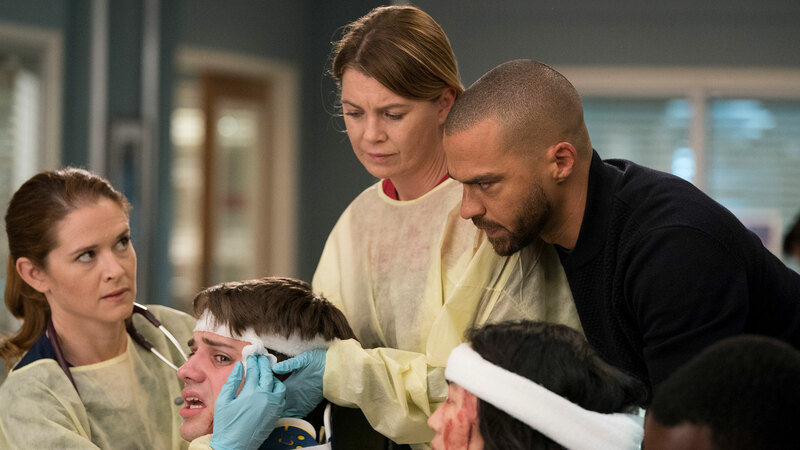 In the meantime, the next time you watch Grey’s Anatomy, keep in mind that although the TV doctors may be using big medical words and make it seem realistic, recovering from serious medical trauma can be a long, drawn-out process.